New Roof – How do I know if I need a new roof? Many home owners ask themselves sooner or later, do I need a new roof? How much is a new roof going to cost? Is a roof repair a better option instead of replacing the whole thing? There are signs that you can watch out for that may indicate it’s time for a new roof. Look for shingle edges that are curling or tabs that are cupped. Roof Age: Most experts agree that a roof will typically last 20 – 25 years. If your roof is at least 20 years old, it is likely that it will need to be replaced soon. Neighbours replacing their roofs. If the houses in your neighbourhood are having their roofs repairs or replaced, you may want to consider having a roofing contractor out to take a look at your. Houses built in the same time period, that experience the same weather conditions, will being needing to have their roofs replaced around the same time frame. Missing Shingles: If you notice missing shingles on your roof, this may be a sign it’s time to call in a roofing company. Shingle Granules in your eavestrough: Check your eavestrough to see whether or not they have shingle granules in them. Since roofs tend to lose more granules when they are nearing the end of their lifecycle, this is also a indicator. Leaking: If you notice your paint bubbling inside, or even see a small leak in the ceiling. It’s time to call the professionals. These are some of the warning signs that it’s time for a new roof. 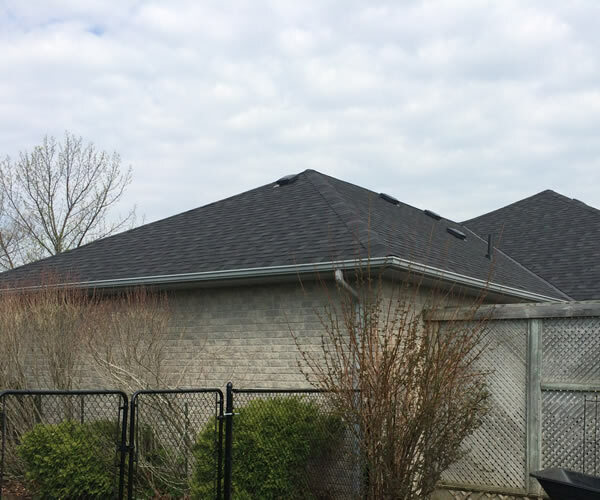 If you are in the Durham Region, Cobourg, Peterborough or Trenton areas, we would be happy to come out and inspect your roof, and give you a free, no obligation quote. We’ve been professional roofing contractors for over 20 years. Give us a call at 905-999-5751 today. Proudly serving Durham Region, Pickering, Ajax, Whitby, Oshawa, Bowmanville, Peterborough, Port Hope, Cobourg, Grafton, Colborne, Castleton, Brighton, Trenton and all surrounding areas.